Hulu wants to go toe-to-toe with Sling TV and PlayStation Vue, but is its ownership a blessing or a curse? What we’ve heard so far doesn’t sound much different from the “skinny bundles” that exist already. Still, Hulu’s existing service—and its ties to big TV networks—put the company in a unique position to replace the cable bundle. Here’s where a Hulu TV bundle could go right—and where it might go sideways. Today, Hulu is available on iOS, Android, Windows, web browsers, Amazon Fire TV, Android TV, Apple TV, Chromecast, Roku, Xbox 360, Xbox One, PlayStation 3, PlayStation 4, Wii, Wii U, and countless smart TVs and Blu-ray players. No other skinny bundle has that kind of platform distribution. 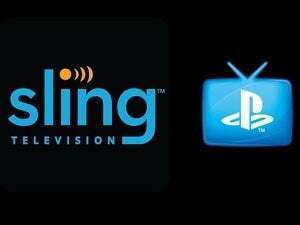 Sling TV is absent on Apple TV, PlayStation and Nintendo consoles, and smart TVs, while PlayStation Vue only works on Sony’s consoles, Fire TV, and Chromecast. Again, if we assume Hulu builds live channels into existing apps, it’ll immediately be able to reach users that its competitors aren’t. Because Hulu is owned by major media companies such as Fox and Disney, it has a unique ability to work with them on new ways to watch television. Depending on how far TV networks are willing to go, Hulu could help bring about the end of traditional channels, instead making it easier for users to watch exactly what they want on their own terms. What could possibly go wrong with Hulu’s plan? The TV networks are talking about innovation, but they’re also opposing it. Just a couple weeks ago, TV networks argued against an FCC proposal to open up the cable-box market, claiming that they rely on scheduled programming and rigid channel guides to make money. Unless that was just posturing, it’s hard to believe Hulu will really do much to shake up the traditional TV-viewing experience. Meanwhile, Hulu itself still likes the idea of releasing new episodes of its shows on a weekly basis, as it hopes to encourage water-cooler conversations even at the expense of binge-watching. This outdated approach to television could hurt Hulu’s ambitions in the long run as rivals Amazon and Netflix let people get hooked on new shows without artificial limitations. With cord-cutting on the rise, those same media companies are now looking to control their destiny through a Hulu-based bundle. Will they be able to say “no” to themselves, and resist stuffing Hulu with too many channels that few people want to pay for? Perhaps not; the rumored $40 starting point for Hulu’s bundle is already on the high end as far as skinny bundles go. In a previous column, I wrote about how Hulu’s motivations are always shifting at the behest of its owners. First Hulu was a source of free TV on the web, which got downplayed in favor of subscription-based TV shows on mobile devices and televisions, which is getting downplayed in favor of original programming, which may eventually get downplayed in favor of a big channel bundle. Hulu needs a long-term vision. Let’s hope the upcoming skinny bundle helps Hulu create the future of TV and not just chase after it.